While it may be a scary situation to think about, there could come a time when you have to look for the help of a professional for broken ankle treatment and surgery in Issaquah. If you have injured your ankle and it is difficult to walk or the pain is severe, you may have serious damage that needs to be addressed. By simply making an appointment to see the team of professionals at Mill Creek Foot and Ankle Clinic, you will learn more about all of your options and get started in on the treatment that you deserve. 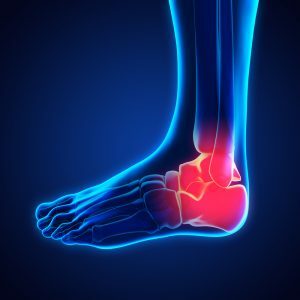 Whether a patient ends up needing ankle surgery will depend upon the overall condition of the ankle joint and how it looks after testing and x-rays. If there is a badly displaced fracture, there will usually be a need for surgery. This will be done to help with the restoration of the broken bones so that you will be able to heal the right way and get back to your regular activities. When it seems as though surgery is your best option, you will learn whether or not you will need to be off of your foot for a long time as well as any physical therapy that should be done once you are progressing with the healing process. Call Mill Creek Foot and Ankle Clinic at (425)482-6663 for broken ankle treatment and surgery in Issaquah to learn about recovery and healing time. We will be happy to set you up with an appointment for an initial consultation and go over all of the points of the procedure with you. You deserve the best treatment and professional care, both of which you will receive with Mill Creek Foot and Ankle Clinic.